Weather Brushes Symbol Pack - Free Photoshop Brushes at Brusheezy! Whether (weather!) it's raining cats and dogs or the wind is howlin' like a wolf, you'll be prepared with this new Weather Brushes Symbol Pack! 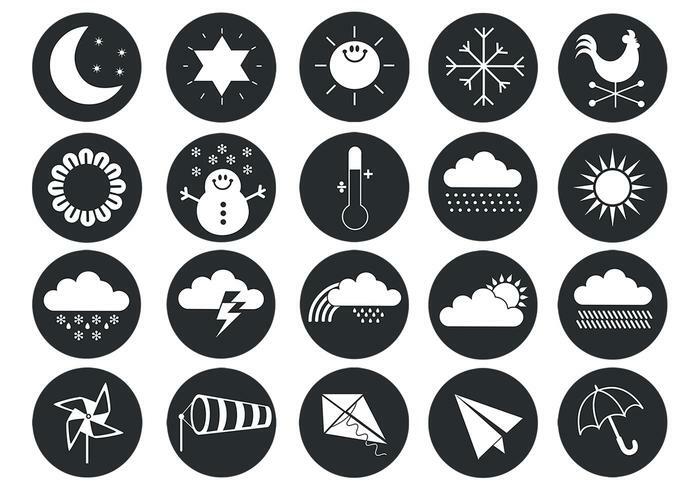 Included in this pack are twenty different circular weather icon brushes ranging from snowy brushes and lightning icons to windy weather symbols and sunny icons. Rather have the vector pack? Download the <a href="http://www.vecteezy.com/nature/57197-weather-vector-symbol-pack/premium">Weather Vector Pack</a> over on Vecteezy!